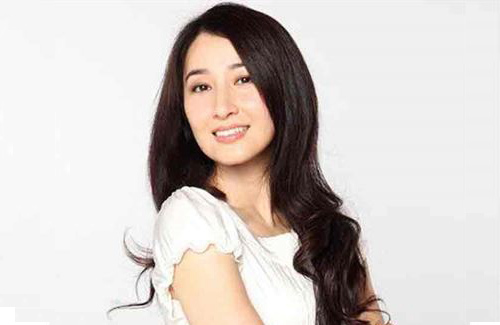 After becoming a mother, Esther Kwan (關詠荷) gradually faded out of the spotlight to focus on her family, allowing her husband, Nick Cheung (張家輝) to focus on his career. To cope with the demands of being a full-time wife and mother, Esther has become increasingly health-conscious, and eats a healthy diet as well as engages in regular exercise. Esther was naturally asked to be the spokesperson for Nestle Carnation’s enriched milk powder, which reduces cholesterol levels and provides additional calcium and heart protection. While Esther’s family does not have a history of heart conditions, the females in her family tend to suffer from calcium inadequacy. For instance, Esther’s mother once fell and broke a bone, and one of Esther’s sisters suffers from osteoporosis, a condition that renders the bones fragile and brittle. Esther admitted that she was a lover of good food, and used to frequently indulge in food that was high in cholesterol, such as foie gras, crab roe, dark meat, and egg yolk. Currently, apart from watching her diet and engaging in regular exercise, Esther also enhances her diet with the milk powder that she endorses. Gosh! For a moment i thought that was Lin Xia Wei! that’s a great idea to mix milk powder into foods through mixing it into dishes. got to start trying that too. Not sure how it’d taste, dishes w/ milk powder. anyone tried it? Esther is beautiful ! Hope she can come back on small screen soon. She never ages. She looks better now than 2 decades before. How is mixing milk into food a good idea? And enriched milk at that. Basically they strip the milk of everything, then add stuff back. Nothing needs to be enriched if it was good to begin with. She’s better off just eating loads of veggies and whole foods. There’s a lot of protein & calcium in veggies, depending on what she eats. Esther is nearly the definition of perfection. I miss her on screen so much.